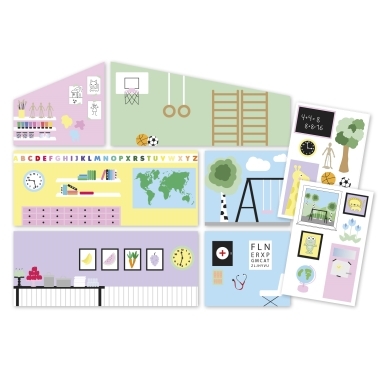 This set of back walls and stickers let you transform your Creative house into a school! 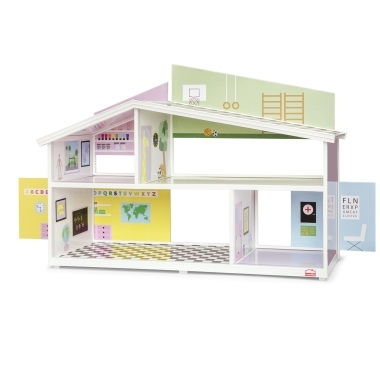 You get an art room and a gym upstairs. 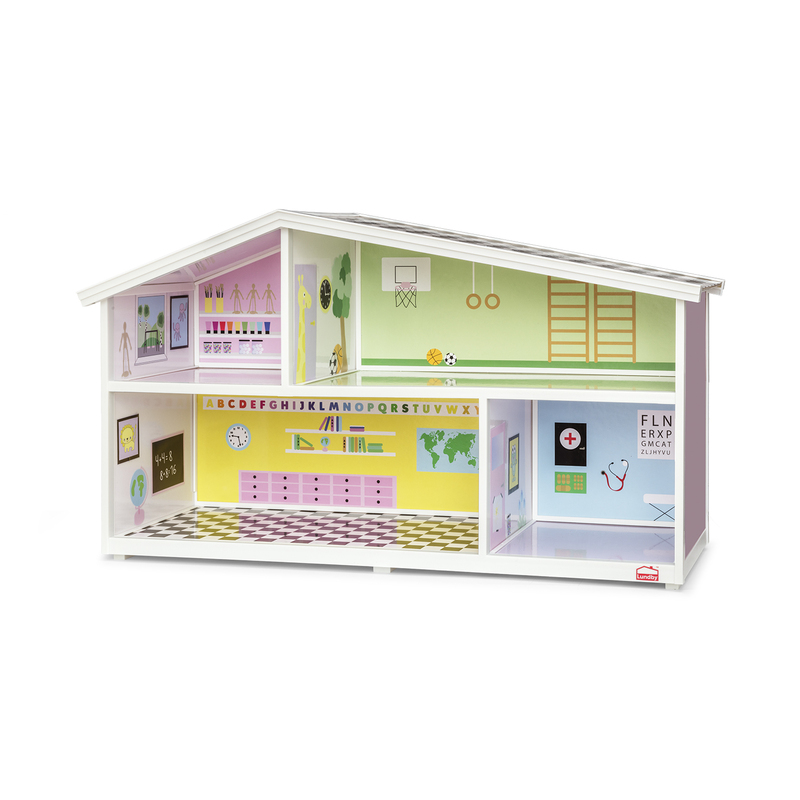 Downstairs, you get a classroom and the school nurse's room. When you turn the downstairs walls around, you get a dining room and school playground where all your dolls can go out to play. 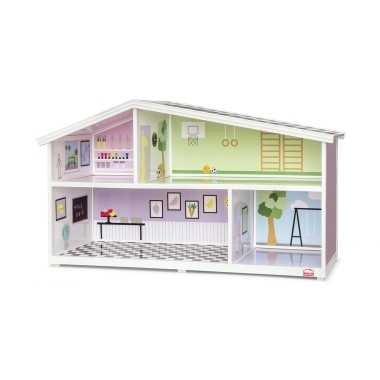 With reversible back walls and stickers, you choose the way your dollhouse looks! 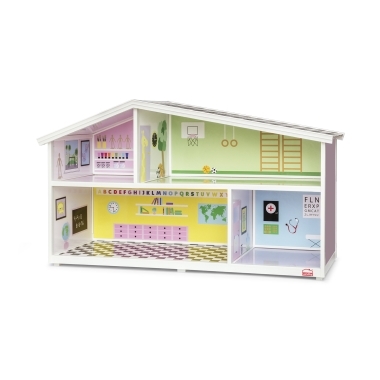 All the stickers are removable and you can put them on the inside or the outside of your dolls house.